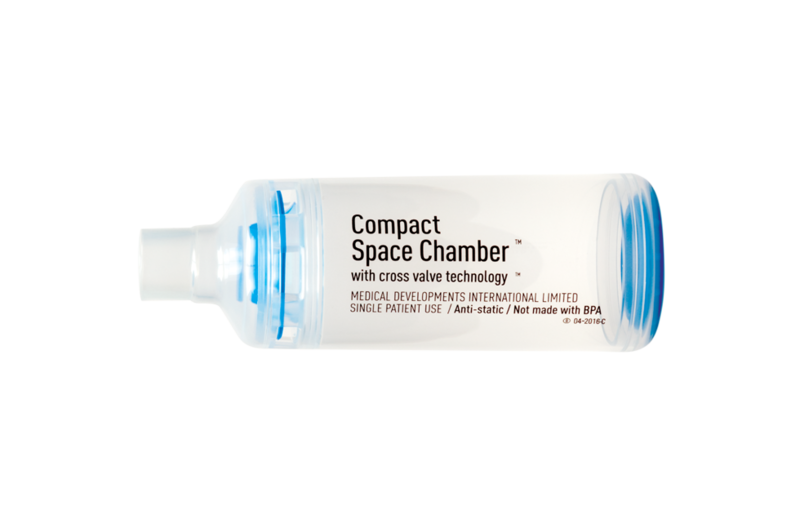 The Features of Anti-static Compact Space Chamber™ | Medical Developments International U.S.
Can be used with standard 22 mm outer diameter mouthpiece fittings. Oval-shaped for greater patient comfort. Cross Valve Technology™: Designed to provide low resistance to allow easy inhalation of medication and exhalation through the chamber. Anti-static Chamber: Transparent, to allow clear view of valve movement and direct confirmation of correct usage by patients. Anti-static, to help maximize aerosol suspension time and can be used straight out of package. Safe and Effective: Not made with natural rubber latex, BPA, PVC and pthalates.